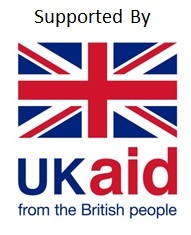 The Girl Generation is funded by the UK Government as part of their wider End FGM/C Programme. The implementation of our social change communication initiative is facilitated by a consortium of three partners. Options builds partnerships to transform the health of women and children. Better health for all is not something that can be achieved in isolation. We bring together partners with the knowledge, expertise and influence – governments, health workers, NGOs, businesses – to make change happen and ensure that everyone can access the health care they need. Forward is the leading African women-led organisation working on FGM, child marriage and other forms of violence against women and girls in the UK and Africa. For over 30 years we have been undertaking community engagement, women’s empowerment, training of professionals, research, and international advocacy. Equality Now is dedicated to creating a more just world where women and girls have the same rights as men and boys. Our international network of lawyers, activists, and supporters hold governments responsible for ending female genital mutilation, legal inequality, sexual trafficking and sexual violence.